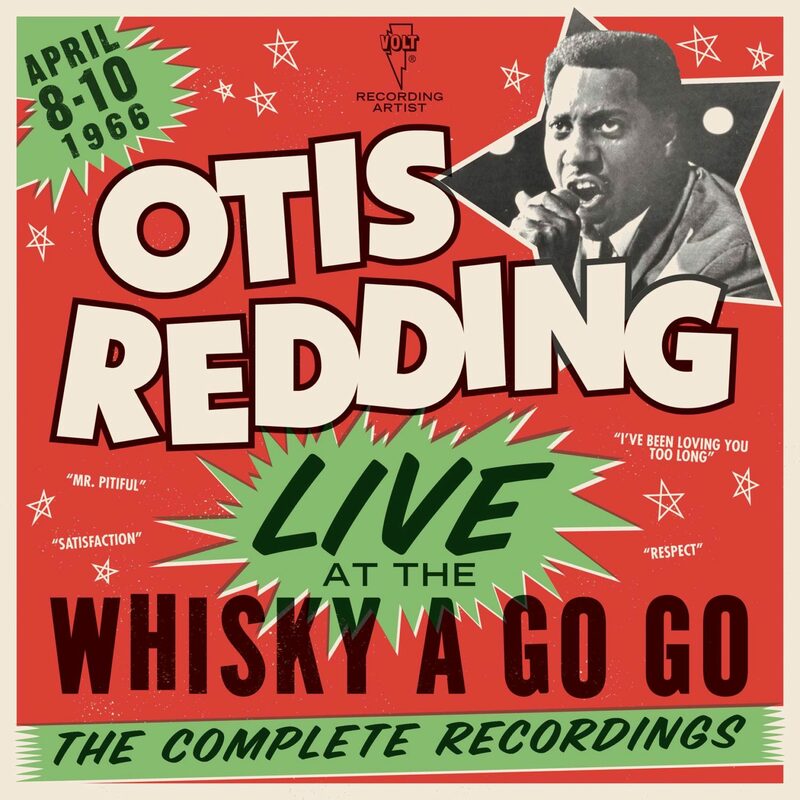 Los Angeles, CA – Stax Records, an imprint of Concord Bicycle Music, is pleased to announce the release of Otis Redding – Live At The Whisky A Go Go: The Complete Recordings. In chronological order, this six-CD collection presents the entirety of Redding’s performances over three nights at the famed Sunset Strip venue. The seven sets, recorded Friday, April 8th – Sunday, April 10th,,1966, feature the singer’s popular songs of the time, including “Respect,” “I’ve Been Loving You Too Long” and his cover of The Rolling Stones’ “(I Can’t Get No) Satisfaction.” Several of these recordings–all remixed and remastered from the original 4-track analog tapes–will be made available for the very first time. In fact, this collection will be the first to offer fans the chance to relive all of the sets in their entirety–including between-song banter by Redding–exactly as they were performed. Rounding out the package is a poster, plus new liner notes from Los Angeles-based journalist Lynell George and box set co-producer Bill Bentley. By the spring of 1966, 24-year-old Otis Redding was a bona-fide star on the R&B and soul radio waves. The singer was enjoying the critical and commercial success of his third studio album, Otis Blue, and was watching his singles cross over to the (typically very white) pop charts. Redding had yet to be fully embraced by a white audience, and this weekend-long gig in Hollywood–booked at a venue known more for hosting hippies, and launching bands like The Doors, The Byrds and Buffalo Springfield–was a shrewd move to introduce Redding to a new market. In fact, Redding would be the first major soul act to perform on the Whisky’s stage. In her liner notes, Lynell George adds context: “The Strip, like much of 1960s Los Angeles, had invisible but tough to permeate dividing lines…Redding began to see this three-night run as just the right spark to help him jump over all those many lines–from star to superstar, from R&B/soul to pop, from all-black rooms to arenas…” In the end, these Whisky sets did prove to be an important step in Redding’s career, and introduced him to the emerging counter-culture of the 60s. A year later, he would be the star act at the Monterey Pop Festival, sharing a lineup that included Jimi Hendrix and The Who. Tragically, just as his career was reaching its peak, Redding’s life would be cut short in a plane crash, in December 1967. Redding has been inducted into the Rock ‘n Roll Hall of Fame, Georgia Music Hall of Fame and Songwriters Hall of Fame. He has been honored with a U.S. Postage stamp and won a Grammy Lifetime Achievement Award. Rolling Stone named him the eighth greatest singer of all-time and U.K.’s Q magazine ranked him at number four. In his liner notes, Bill Bentley recalls, “Redding’s music had a power and urgency that grabbed you by the throat…There wasn’t any other singer like him then, and those of us who had discovered his music knew we were listening to the very essence of what soul music really was.” Bentley wasn’t alone. The Los Angeles Times’ music critic, Pete Johnson, covered one of Redding’s sets that weekend, calling the performance, “The most exciting thing the rock-worn room had ever harbored.” Redding’s legacy is well known – his brief but iconic discography speaks for itself; but these particular recordings will allow fans to step back in time, and experience a pivotal moment in the rise of a star.